The compact refrigeration unit (CRU) is the core part of the heat pump system, which is used in the demonstrator vehicle. It consists of an electric A/C compressor with a displacement of 34 cm3, two aluminum water-refrigerant heat exchangers (condenser and evaporator) and a thermostatic expansion valve (TXV). This system enables heat pump operation mode, where electric components as well as the battery are cooled and this heat is used for heating up the passenger cabin. If there is the demand to heat the battery and the cabin, the ambient air can be used as heat source. Also for cooling the passenger compartment and the battery this system enables the appropriate combination of heat sources and heat sinks in the vehicle. The manufactured prototype was tested and evaluated on a test bench, which proved the performance and efficiency of the system. Due to the integration of phase change material (PCM) inside the battery, the thermal capacity could be significantly enhanced and the battery can be used as thermal storage. 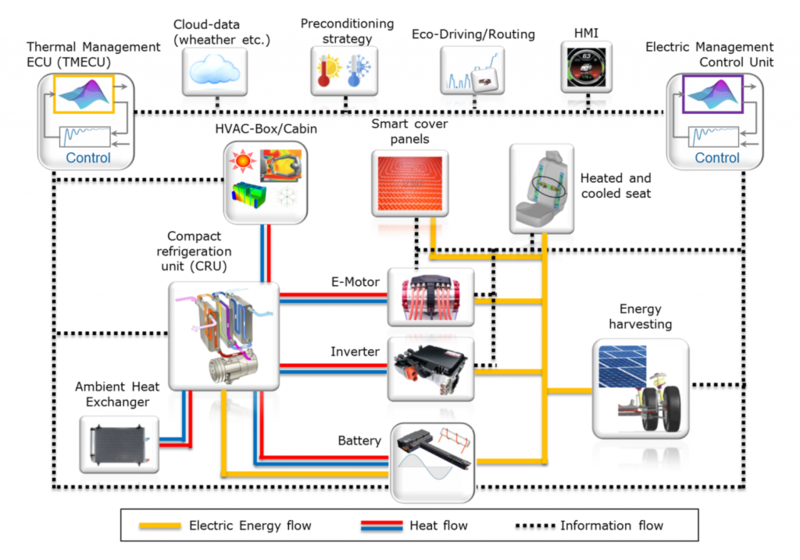 It enables the storage of roughly 1 kWh of latent heat in the preconditioned battery (additionally to the sensible heat of 1.7 kWh between 15-35 °C) , which can be used by the heat pump system during driving. This enhances the driving range of the Fiat500e by 13% at cold ambient conditions (-10 °C). Further, the phase change material also prevents the battery from overheating during fast charging. 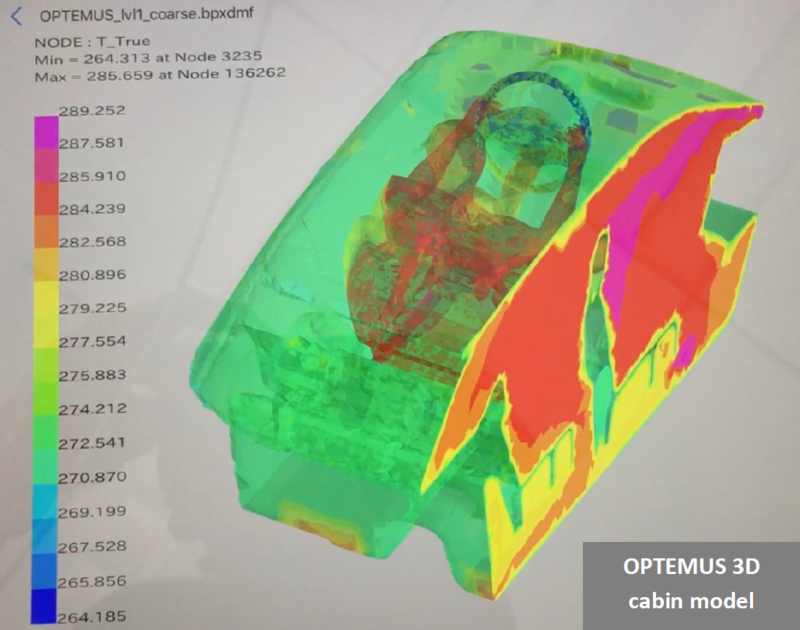 At an initial battery temperature of around 20 °C the OPTEMUS battery is capable of absorbing the total amount of heat dissipated during a fast charge without reaching critical temperatures or temperature gradients. The preconditioning functionality designed for electric vehicles ensures the best comfort for the passengers as well as the maximum driving range based on the ambient conditions and the information from the user (departure time, desired cabin temperature) as well as the expected weather conditions. For instance at cold winter conditions, the battery is heated up to 35 °C while connected to the grid in order to use it during driving as thermal storage via the heat pump system for heating the passenger compartment. Additionally, the passenger cabin is heated up before the drive to the selected comfortable temperature to further reduce the energy consumption during driving. 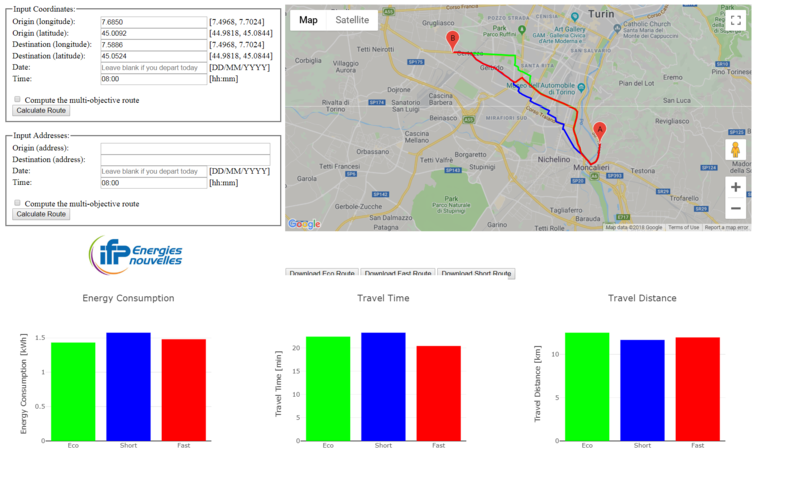 For this purpose, both a user-triggered (by means of an app) and a predictive algorithm have been developed, which foresees the driver behavior (approach to the vehicle) to ensure the timely preconditioning of the cabin room upon arrival of the driver. 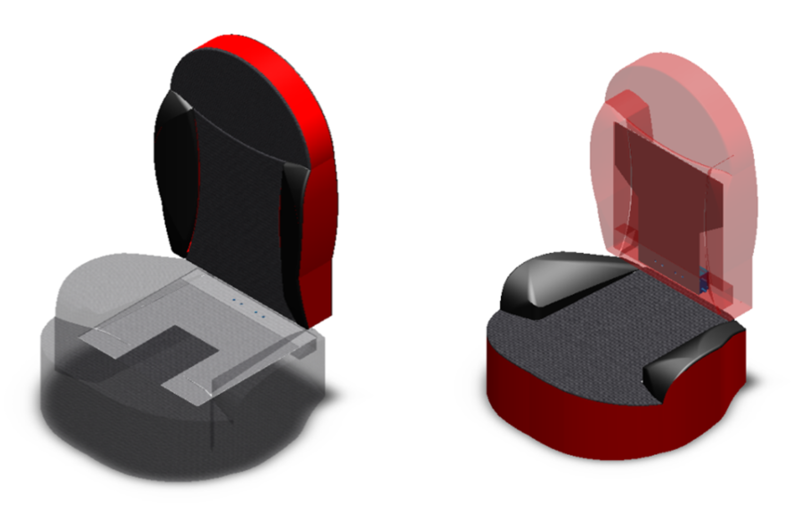 The Smart Seat with integrated peltier elements in the back and cushion part enables a heating and cooling of the seat. 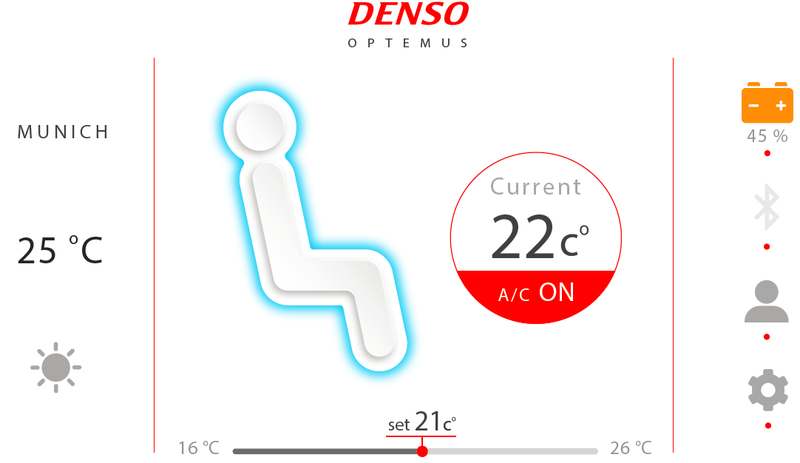 The control is done via temperature sensors, which measure the temperature at different spots of the seat. At cold ambient temperatures the Smart Seat is operated in heating mode and enables to lower the cabin air temperature from 22 to 15 °C while keeping the same passenger comfort. This increases the efficiency of the heat pump system and decreases the overall energy consumption for comfort at cold ambient conditions. Simulation results have shown that this increases the driving range by 11 % at -10 °C ambient temperature. 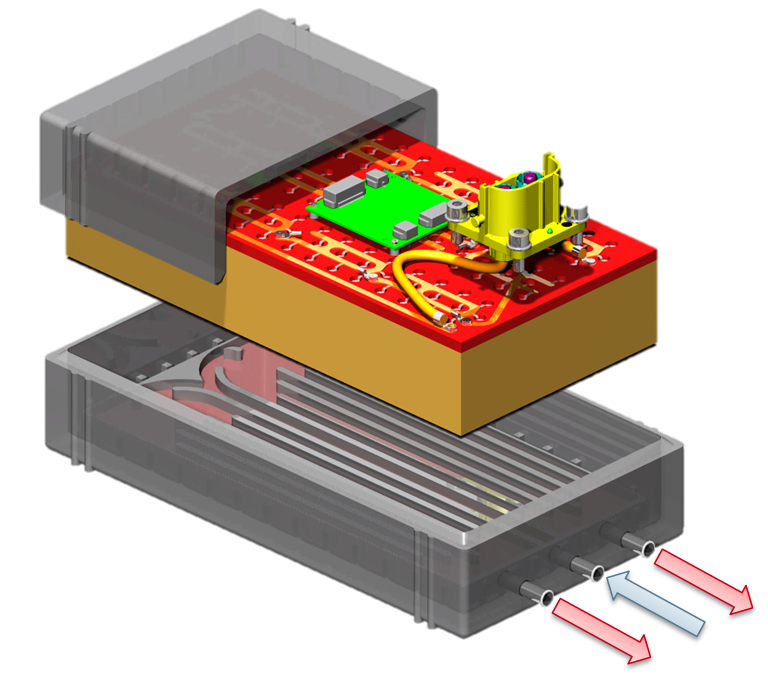 For hot ambient conditions the peltier elements are switched to cooling mode and the cabin air temperature can be increased, thus lowering the overall energy consumption for cabin cooling. Eco-driving is nowadays considered to be an effective and inexpensive way of reducing the energy consumption linked to the transport of people or goods. Generally, the idea is that there are different ways of driving a specific journey which are not equivalent from an energy consumption point of view. Eventually, the objective is to find the optimal one. 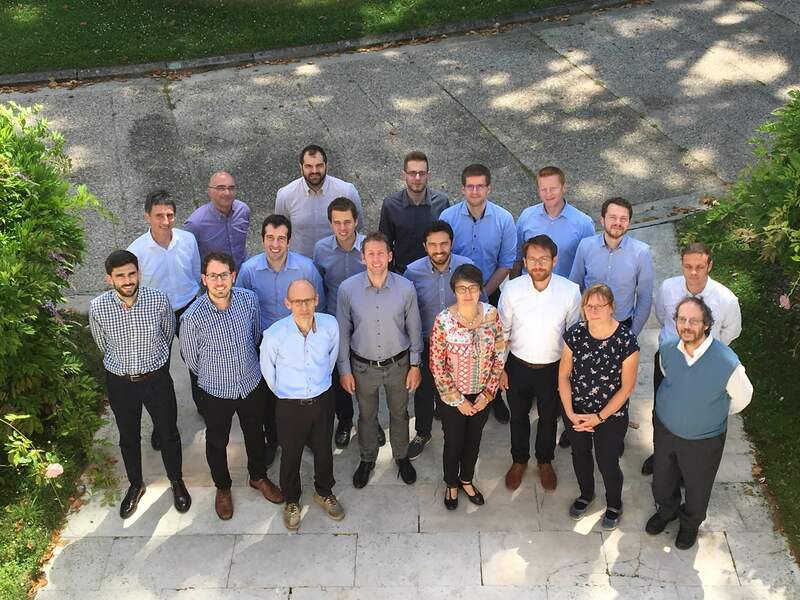 In OPTEMUS, the principle of the eco-driving strategy is to inform the driver of the energy consumption characteristics of the immediately previous driving behavior in order to improve the future ones (i.e. eco-coaching). 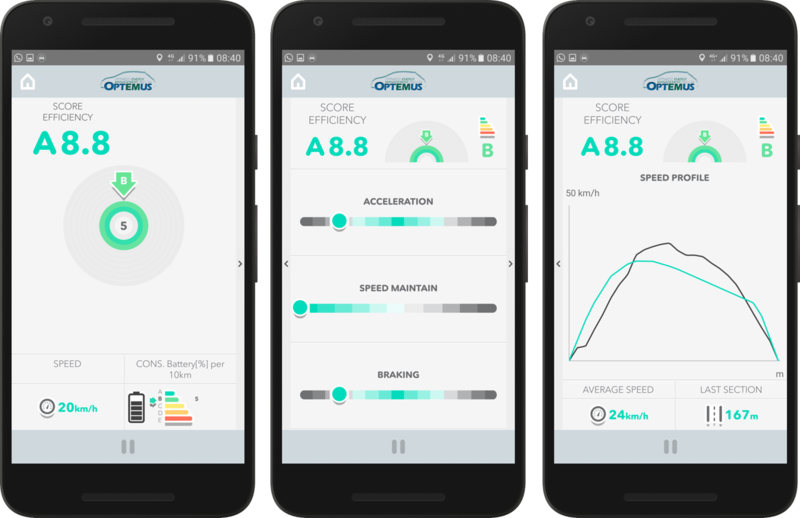 Such a guidance evaluates the driving style by means of a score and comparing it with an optimal driving profile which minimizes energy consumption. The eco-driving assistance is capable of suggesting the actions to take in order to approach the optimal behavior. These suggestions are provided to the driver by means of an interface (i.e. smartphone application), and they are updated during the trip at each vehicle speed inflection point. Eco-routing navigation aims to find the most energy-efficient route in a vehicular road network to travel from an origin to a destination. It may be seen as an optimization problem where the function to be minimized is the energy consumption of the vehicle. Such an optimization problem depends on several variables and constraints, different in nature and difficult to know or estimate: vehicle parameters, network topology, traffic conditions, road grade, driving style, etc. 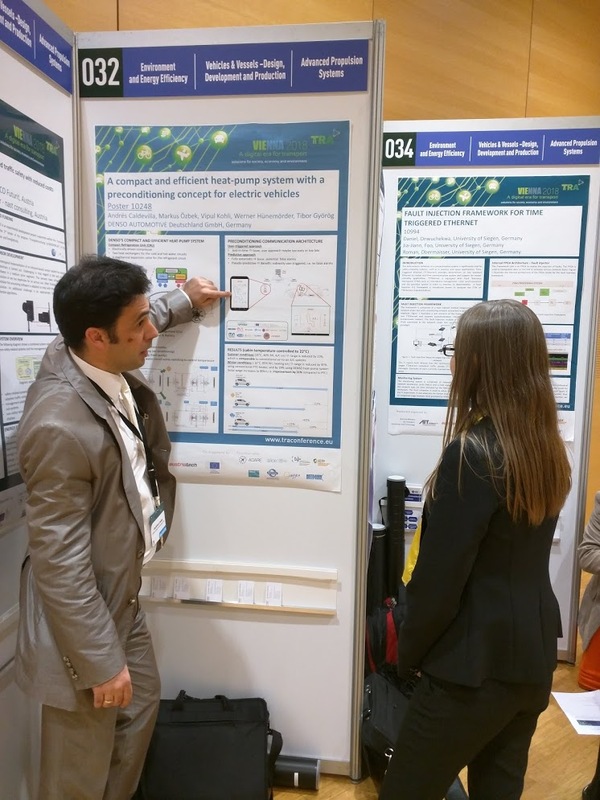 In OPTEMUS, eco-routing for electric vehicles presents some specific features, such as the presence of regenerative braking and thus of negative energy costs, which makes necessary an improvement of the standard route search algorithms. Especially in urban environment, due to traffic conditions and road altitude profile, it is easily shown that the eco-route is not only more energy-efficient than the fastest route, but also than the shortest route. The Regenerative Shock Absorber (RSA) is one of the energy harvesting devices in the OPTEMUS project. Two prototypes of RSA were designed, manufactured and tested at the bench. The additional components allowing energy harvesting, namely a hydraulic motor and an electric motor, were custom designed and fully integrated together and with the damper body. A maximum conversion efficiency of 30% has been measured during bench tests. Prototypes of RSA offer the possibility to modify the damping curve by varying the electrical characteristics of the circuit connected to the electric motor. This allows the possibility to change in an adaptive way or in real time the damping level, depending on the driving scenario (road conditions and driver maneuvers) and on the control mode (Sport, Comfort, Eco, etc.) selected by the driver, like a current production electronically-controlled damper. 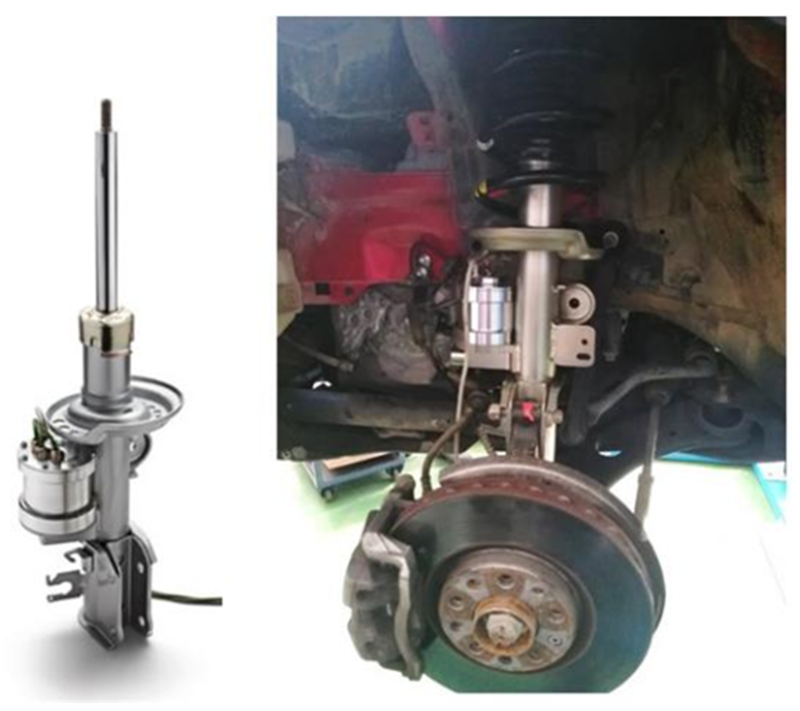 Both developed prototypes of RSA can be installed in the front and rear suspensions of the B-class SUV Fiat 500X. 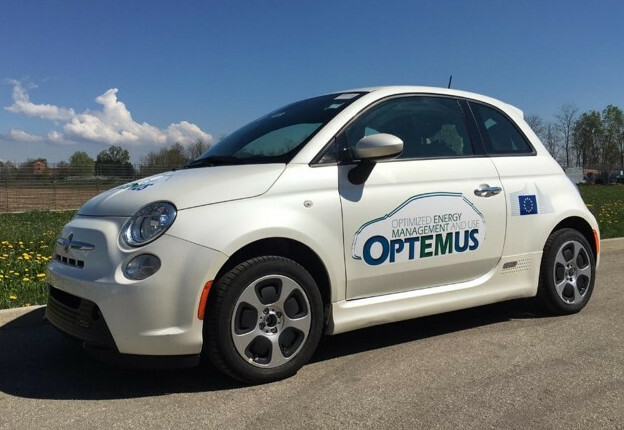 The OPTEMUS Demonstrator Vehicle (Fiat 500e) is one of the major project results and enables the in-vehicle testing of different technologies. 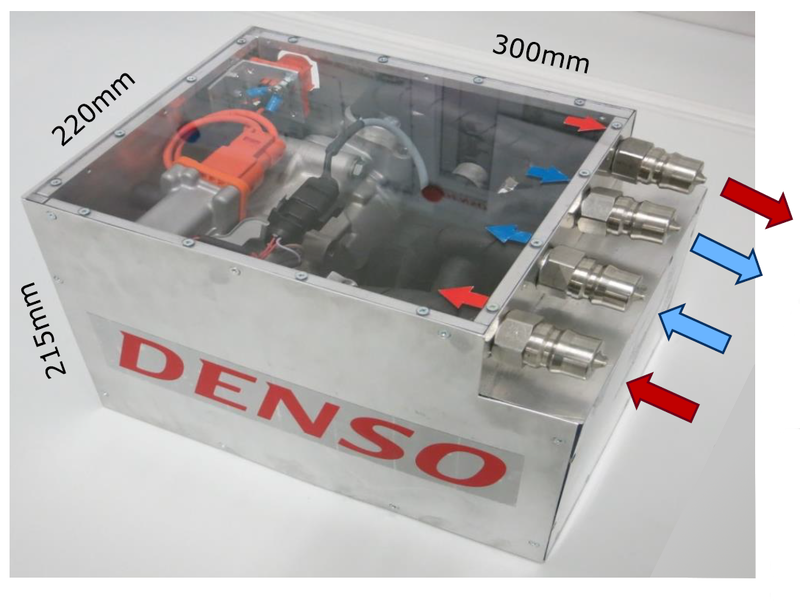 The compact refrigeration unit was integrated in the vehicles water/glycol based thermal management system and cool-down and heat up scenarios for the passenger cabin as well as the battery were tested in the climatic wind tunnel. Special focus has also been put on the interior technologies (smart seat and smart cover panels), which were tested in the demonstrator vehicle as well. Further, also Eco-Driving and Eco-Routing has been validated in the Fiat 500e.